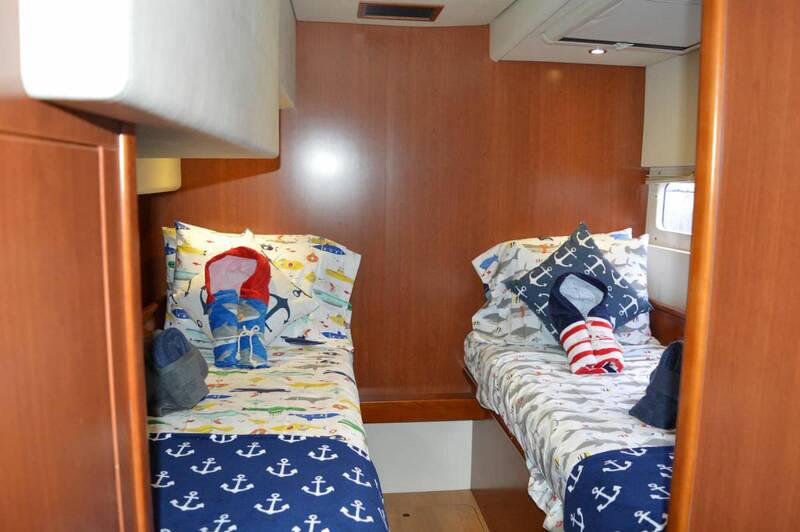 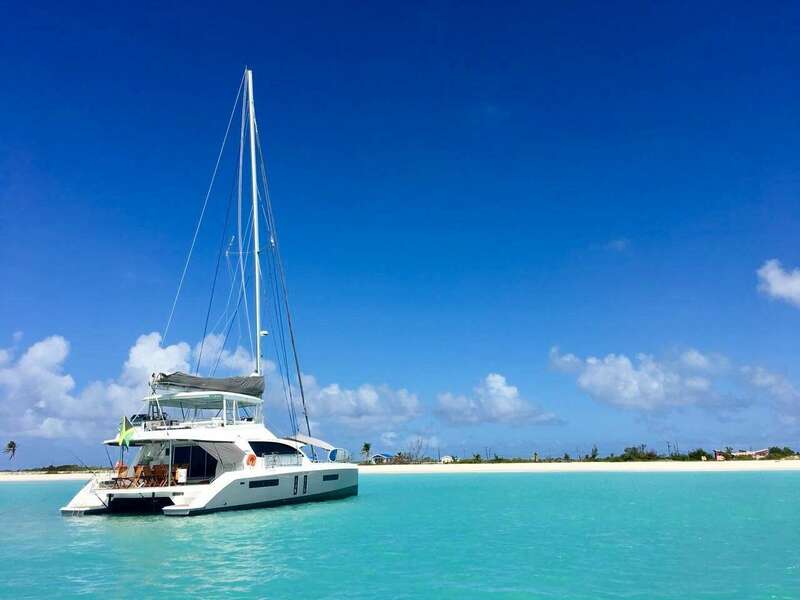 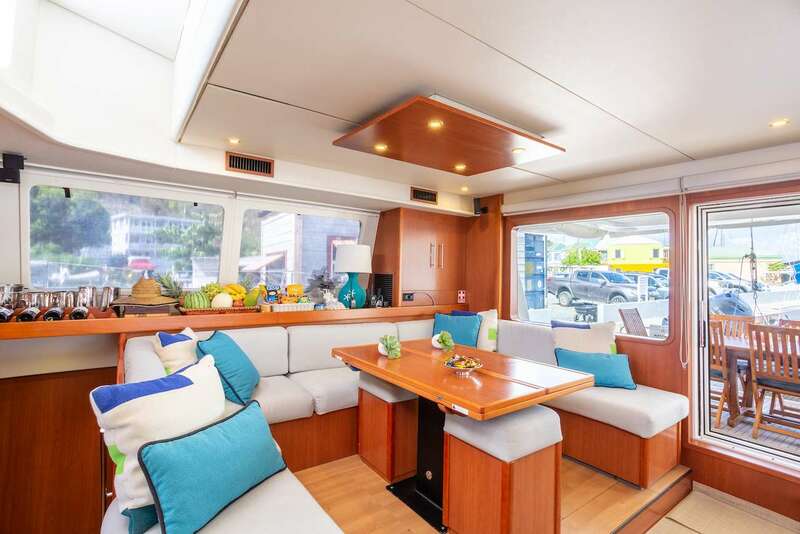 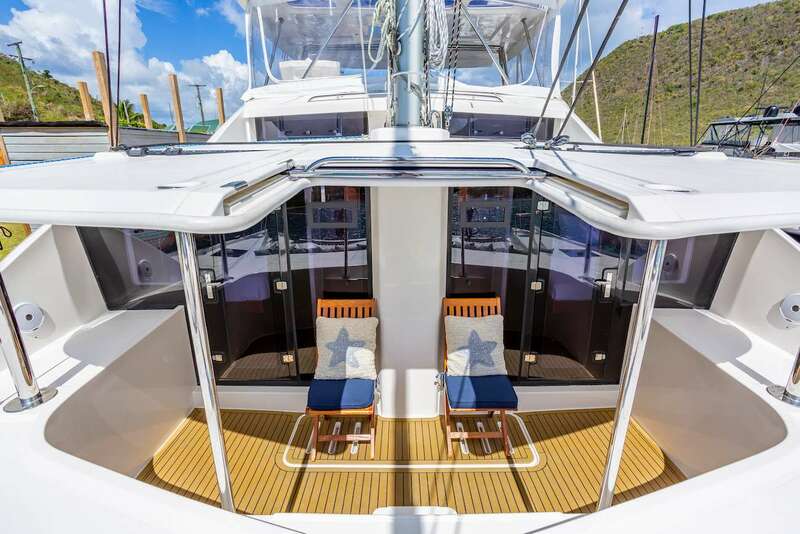 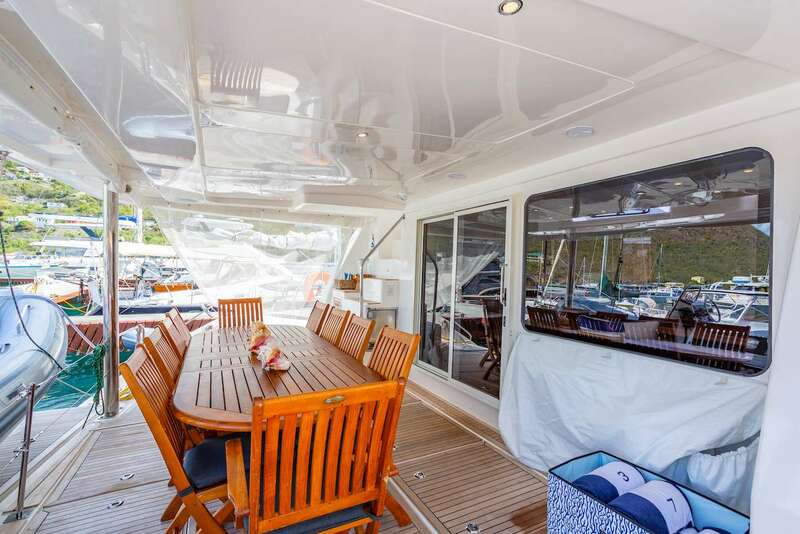 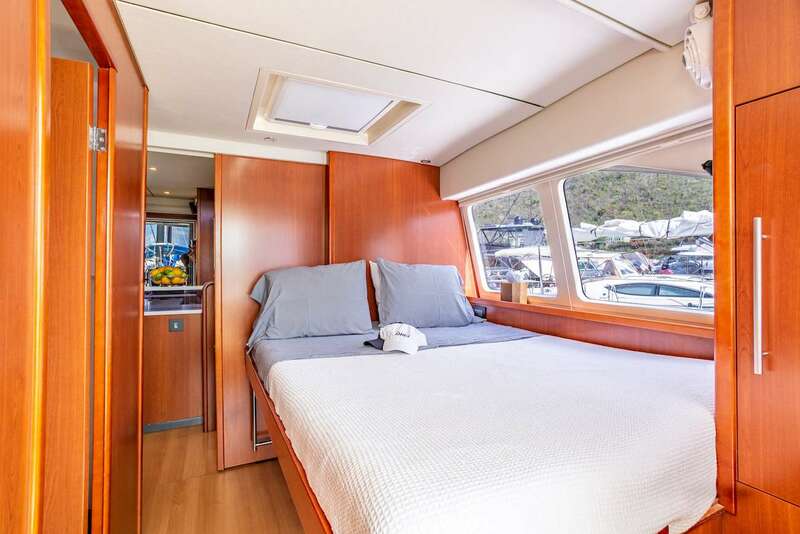 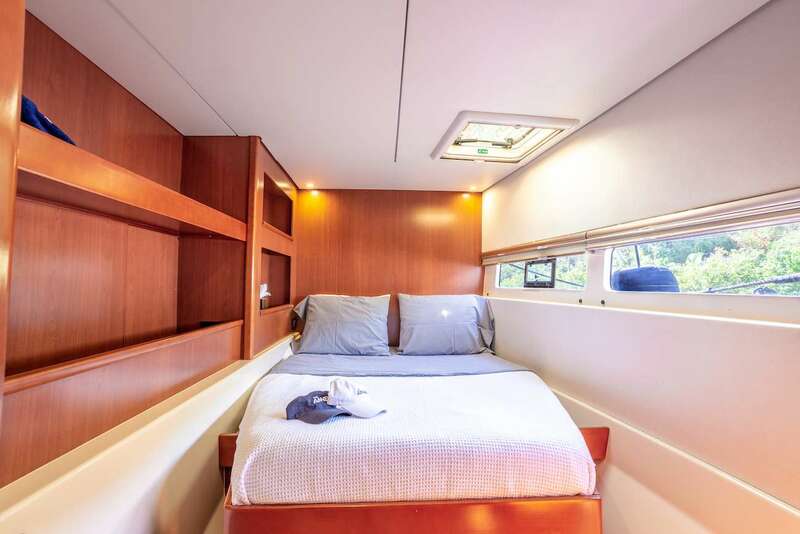 5 guest queen staterooms with private ensuite baths with dry shower stalls and electric heads. 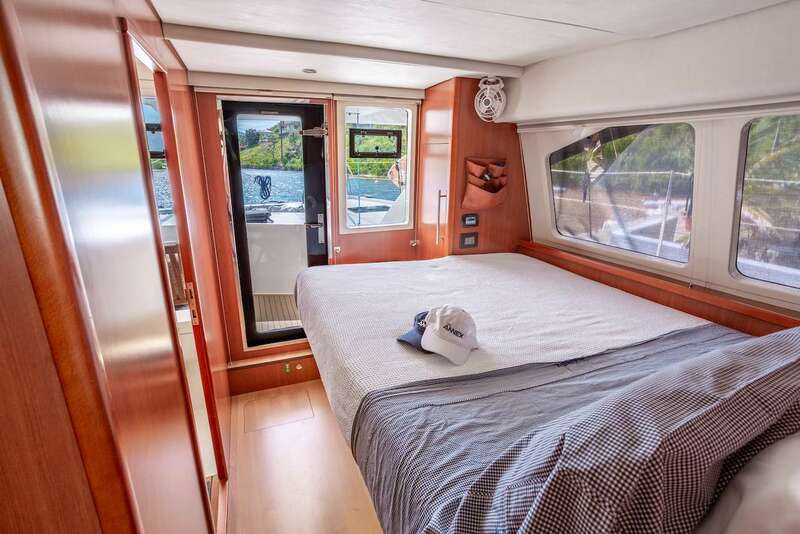 Four queen berths and one cabin with two singles berths which can convert to a queen. 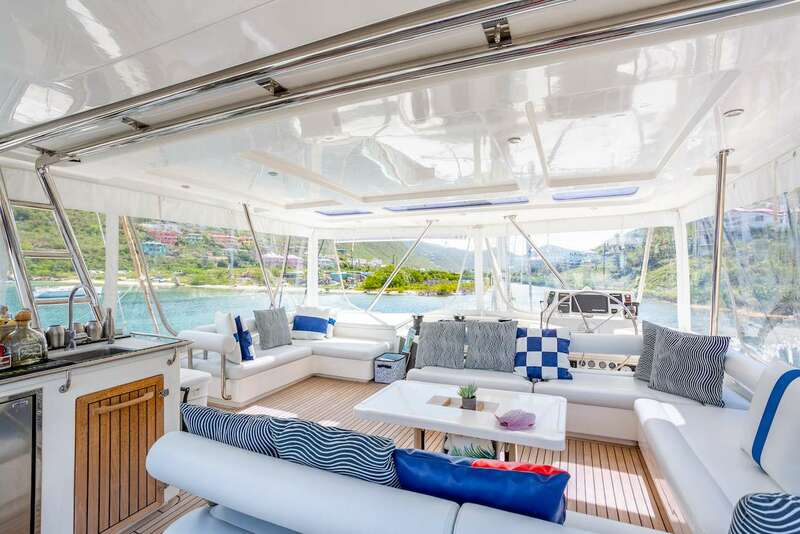 This yacht is NOT legal for more than 10 pax charters.